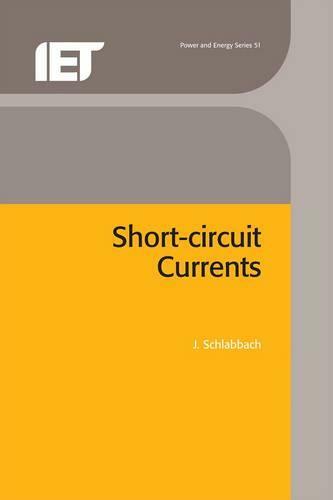 The calculation of short-circuit currents is a central task for Power System engineers, as they are essential parameters for the design of electrical equipment and installations, the operation of power systems and the analysis of outages and faults. Short-circuit Currents gives an overview of the components within power systems with respect to the parameters needed for short-circuit current calculation. It also explains how to use the system of symmetrical components to analyse different types of short-circuits in power systems. The thermal and elctromagnetic effects of short-circuit currents on equipment and installations, short-time interference problems and measures for the limitation of short-circuit currents are also discussed. Detailed calculation procedures and typical data of equipment are provided in a separate chapter for easy reference, and worked examples are included throughout.